Street magicians may well be the conjuring showmen of the twenty first century so it’s about time someone developed on online slot themed on these swift-handed entertainers; here we have Street Magic, a game from Play N Go with several themed bonus features. Street Magic is a five reel slot with four rows and twenty fixed paylines; the reels take up all the screen space but they’re mounted on some sort of engraved stand. There’s some dynamic music to accompany your gameplay. The higher value symbols include a jewelled ring, a hypnotic pocket watch, a padlock, a knife and a pair of handcuffs; playing card symbols in blue, purple, green and orange make up the lower values. The magician is both the wild and the scatter symbol and as a wild he’ll replace all others to help form winning combos. The Expanding Man – both magicians will expand to fill all positions on their respective reels. 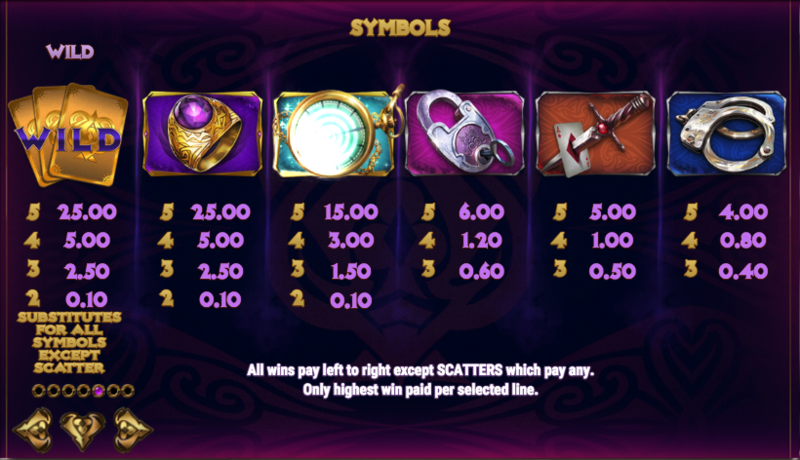 The Transporting Man – an extra scatter appears on the reels and the free spins will be activated. The Wild Shuffle – four extra wilds are added to the reels and any new payouts will be evaluated. Trigger this by landing three of the magician symbols anywhere in view (or via The Transporting Man) and you’ll get to pick from three cards will award eight, ten or twelve free spins. 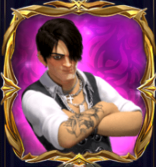 Any wild cards landing will remain in place until the spins end and if there’s at least one wild on each reel you’ll be awarded four, six or eight extra spins. 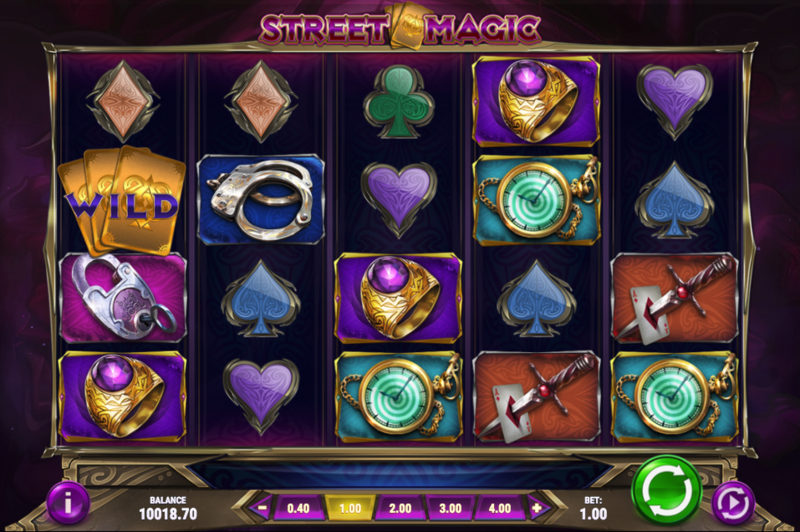 Street Magic is a really glossy, high quality slot with some striking graphics and plenty of ways to access the various bonus features; the music adds an extra exciting dimension to the gameplay which is bright and colourful. Highly recommended!